People generally assume there is only one route to divorce – file a standard petition and wait months for a court to consider the case and make a decision. Standard divorce petitions are necessary in many cases if the parties cannot agree on important issues or decisions related to child custody must be reviewed and approved. However, if a couple does not have complicated issues to resolve and is in agreement over the key matters that encompass divorce, a simpler and faster option is available to dissolve the marriage. Regardless of the procedure chosen, parties to a divorce should consult with an experienced divorce attorney about the short- and long-term implications of each option to ensure any settlement agreement is fair and properly documented. A discussion of the differences between a simplified and standard divorce case, and how to determine when a case would fall under each type, will follow below. both parties will attend the final hearing. Coupled with a petition for a simplified divorce, the parties must also submit a financial affidavit and property settlement agreement. The most important difference between simplified and regular divorces are the rights the parties agree to waive. In regular divorce, both parties have the right to examine and cross-examine one another. Further, each has the right to request and to receive documents on the other spouse’s finances prior to trial or settlement. In a simplified divorce, a party can ask for disclosure of financial information, but it is not required. Further, if a party later learns the property settlement was unfair, there is no option to appeal, and he/she is stuck with the consequences. This possibility is one reason why each spouse should seek the advice of a divorce attorney before signing off on this option. Unlike simplified dissolution, where the parties must work in cooperation with each other, a regular dissolution is a traditional type of legal action where the parties are permitted to oppose each other’s positions. A regular dissolution is necessary when spouses cannot agree on issues like property division and alimony, and is mandatory when child custody must be settled. One party initiates the divorce by filing the petition for a regular dissolution that includes what the party wants i.e., how property should be divided, alimony, parenting time, etc., and the other party has the opportunity to respond within 20 days with his/her own demands. Each party will also be required to submit a financial affidavit, and both can seek additional information while the divorce case is pending. Parties with dependent children have additional forms related to child support and custody. In addition, the parties can submit a settlement agreement with the petition at the outset of the case, or at a later time before the divorce is finalized, if some issues are still outstanding. If settlement is not possible, the case will go to trial, where each side presents his/her argument on the contested issues, and the judge will make the final decision. Regular dissolution is a longer and more involved procedure, but may be in a person’s best interest if communication is difficult, or when the expectations of each party do not line up. 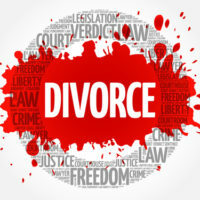 Divorce involves a number of important and overlapping issues that can be hard to separate when in the midst of the emotional upheaval of the event. Let an experienced divorce attorney, like those at the Tampa law firm Bubley & Bubley, P.A., take charge of the legal process so you can focus on settling into your new life. Bubley & Bubley will structure your case to reduce the time it takes to get divorced and to make the process as smooth as possible. Contact us today about scheduling a consultation.